High Ropes elements are situated in trees and posts between 25 and 40 feet above the ground. As participants ascend to these elements, they often perceive a level of danger and separation from participants on the ground. These feelings make High Ropes Elements particularly useful for fostering confidence and self esteem in participants. Each High Ropes Course is composed of a series of elements that are designed to pose different challenges to different participants. Do High Ropes Make My Team Stronger? 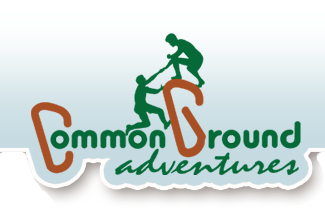 Our High Ropes Courses share many commonalities with other Adventure Challenge Parks and Zip Tours. They feature opportunities for individual accomplishment, high levels of perceived risk, and a unique experience. Unlike many tourist-oriented courses, we also focus on a sense of communal accomplishment through group investment. With the physical, mental, and emotional support of the rest of their group, participants are able to overcome a challenge that may have seemed impossible only minutes earlier. Thus, individual achievements become something an entire team can celebrate. For more information, please visit our Team Building on the High Ropes Course page. Throughout all of our High Ropes Elements, participants are secured to a safety system supervised by skilled facilitators to minimize actual risk while allowing each participant to experience perceived risk. Members of your group who are not currently in the air play an important role on each safety team. Team members take direct responsibility for each other’s well-being and security, build trust and interdependence among your group. Acknowledging that the High Ropes Course represents a different level of challenge to each participant, we help each climber set their own level of challenge. This allows them to realize that their level of success may look different from someone else’s, but it is a success nonetheless. 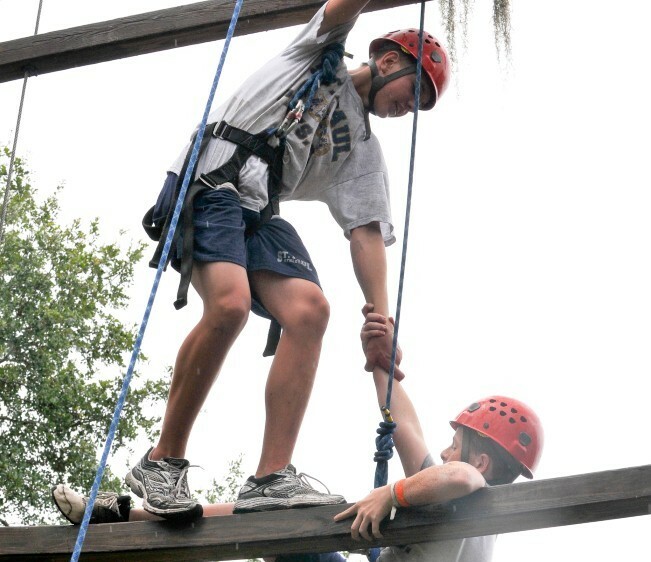 Visit our High Ropes Elements page for a sample of some of the challenges that your group may face on the course. Complete our Program Pricing Request Form online and we’ll send you a pricing estimate for your own High Ropes program. There was a ton of laughter incorporated with important team values that the girls were able to grow and learn from.